When startups become scaleups and go beyond 15-25 employees, the nature of the business changes. One of the most common pitfalls – we keep seeing – is adopting ideas, management practices etc. from the corporate world without reserve. 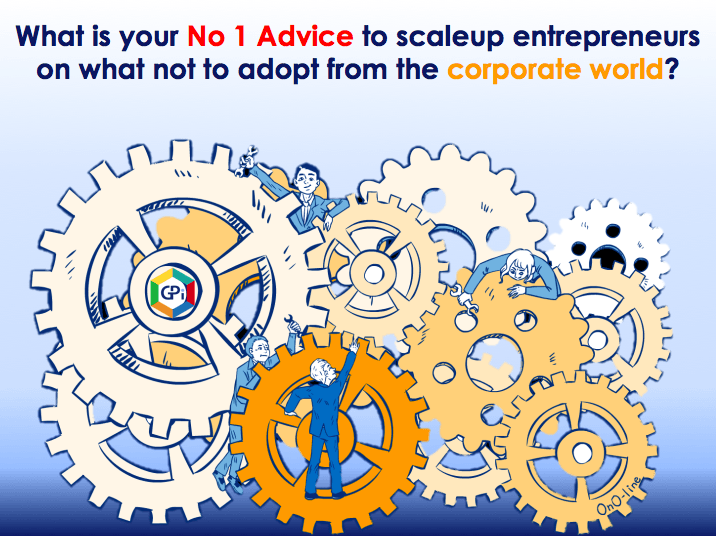 What do you think is the number one ‘thing’ scaleups adopt from the corporate world – the thing that slows them down? Please comment on LinkedIn post. We intend to consolidate all answers and publish the findings on LinkedIn. If you are unclear, please feel free to watch our animated road-map which explains the universal stages which business go through.